For Music Monday I wanted to share the voice of 23-year-old British artist Michael Kiwanuka (with a Ugandan heritage) who happened to be on NPR a few weeks ago. His gorgeous music is currently my new 'go-to' for acoustic soul. His first full-length album Home Again comes out in March and it can't come soon enough. In his interviews he seems like such a sweetheart, which wins me over even more. It is great to see all of the press he has been getting from multiple outlets acclaiming him as one to watch in 2012. I can't wait to see his success unfold. Enjoy, and I hope he can bring a little sunshine to your Monday. 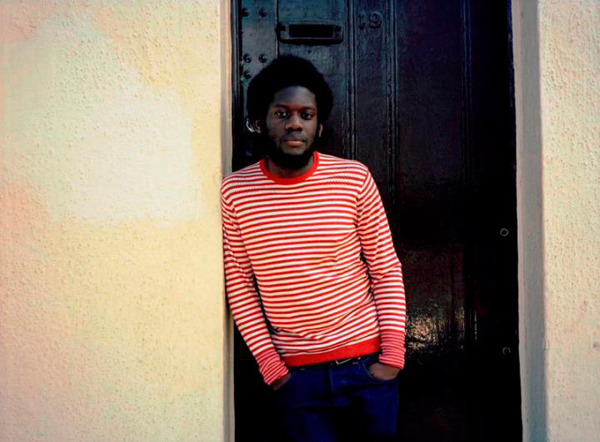 Photo : from Michael Kiwanuka gallery. Oh dear. Just when I thought I'd curbed my iTunes habit. I love his sound. I was so excited when I started hearing him on KCRW and NPR too! We randomly caught one of his gigs in May of last year at a pub here in London and were instantly hooked just like you. Like Grace said above "SO. GOOD." love his voice. yesterday in npr they had sharon van etten- beautiful lyrics and voice.